The United States has a long and mixed record of supporting rebels in internal conflicts, so it should know that helping out anti-government forces can sometimes backfire. However, history may be about to repeat itself. ­The international community permitted intervention in Libya to protect civilians from Colonel Gaddafi, but Washington wants to go further than that and is considering arming the rebels. While officially denying that toppling Gaddafi is the objective of its involvement in Libya, President Obama has reportedly signed a secret order authorizing covert American support for rebel forces seeking to oust the Libyan leader. 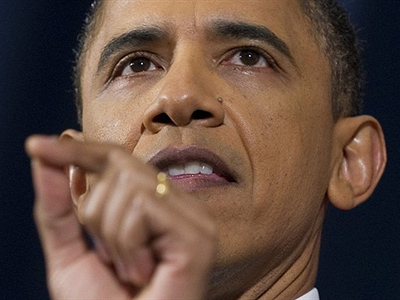 “Broadening our military mission to include regime change would be a mistake,” Obama said just hours ago. Reports emerged on Wednesday stating that the US is sending special CIA teams into Libya to gather intelligence and set up links with rebels. 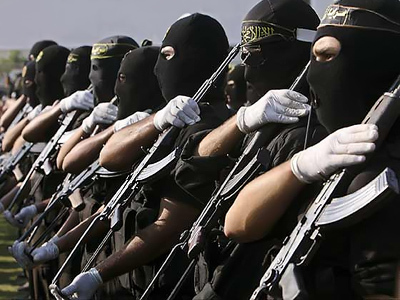 The Associated Press quoted intelligence experts as saying that the CIA may have sent its officials to estimate the real strength and needs of the rebels in case the Obama administration decides to arm them. The New York Times newspaper also reported that the CIA had sent small groups of its operatives to the country. Reuters news agency quoted US Defense Secretary Robert Gates as saying that he cannot comment on CIA actions. However, Gates added that there would be no US ground troops deployed in Libya. "I can't speak on any CIA activities but I will tell you that the president has been quite clear that in terms of the United States military there will be no boots on the ground," Gates told Congress at a hearing on Libya operations. Critics of the US taking sides in a civil war warn of the consequences. “We help to accelerate the chaos and in creating more chaos, which we think somehow we are going to be able to direct the outcome, it is the same hubris that has visited the United States in Iraq. The same hubris that keeps us pinioned in Afghanistan, causes us to believe that somehow we are going to direct the events and the outcome in Libya. We cannot do that, nor do we have the right to determine who the leader of Libya should be,” said Dennis Kucinich, US Representative (D-Ohio). 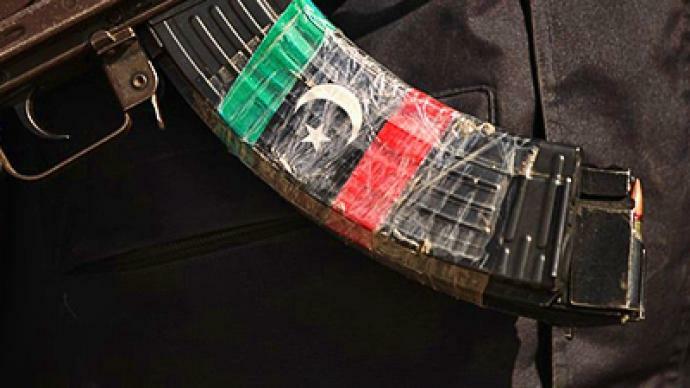 Many fear radical forces could take advantage of the chaos in Libya. Former jihadist Noman Benotman, who renounced his Al-Qaeda affiliation in 2000, says he estimates 1,000 jihadists are among the rebels in Libya. 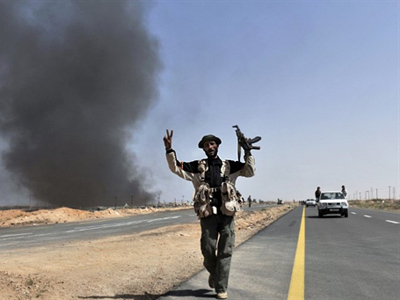 One Libyan rebel commander has openly admitted his fighters have Al-Qaeda links. 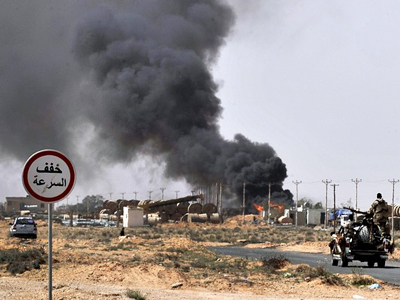 Other reports say terrorists seized Libyan surface-to-air missiles when arsenals were looted. But a US military study three years ago said Libyans made up the second-largest group of jihadists in the world, right after Saudi Arabia. 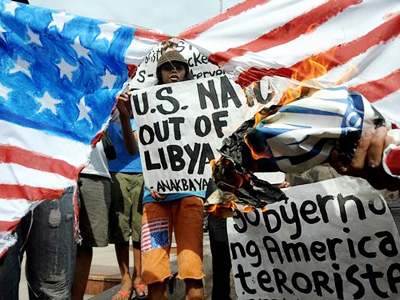 All of that seems to have been discarded as the US is trying to prop up the opposition in Libya, as some analysts say, in an attempt to forge a relationship with them which would be favorable for the United States in the future. 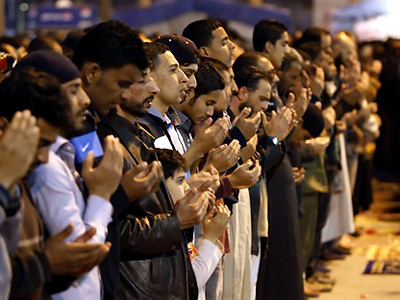 Experts say as of now, the opposition in Libya hardly has a defined face, or power. Dennis Kucinich says arming the rebels could backfire. In Afghanistan, back in the ‘80s, the US had a narrow goal – to help the mujahideen fight Soviet troops. 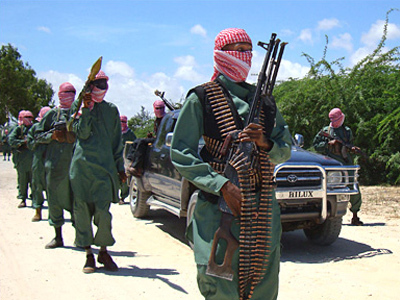 Subsequently the same mujahideen militants turned their weapons and training against the US. Among them was Osama Bin-Laden, whose group eventually evolved into Al-Qaeda. Vince Cannistraro, CIA analysis and operations chief in the 1980s, says back then the US did not see the dangers of arming Afghan militants. “No they didn’t think about what would happen. That what we were seeing was the tribal society, that breaking up separate tribes would be leading to the construction of the Taliban,” Cannistraro said. More than two decades after arming the Afghan mujahideen, America is now considering giving weapons to another rebel band with an unclear identity – simply because of who they are fighting against. 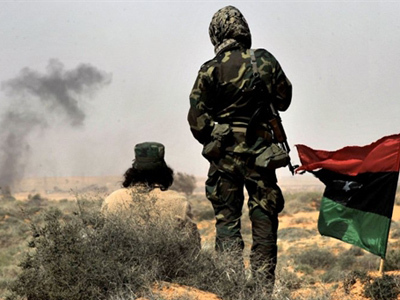 ­According to former CIA officer Philip Giraldi, while a CIA presence in Libya aimed at collecting information about rebels is understandable, the possibility that it is there to train rebels or to take part in combat operations can actually be dangerous. It would be a huge mistake for the United States to arm the Libyan rebels at this point, former Canadian diplomat Peter Dale Scott told RT. ­Dov Zakheim, a former senior US government official, says Congress is frustrated that it does not get all the information it would expect in such circumstances. Decisions seem to have been made in haste, remarked Zakheim, so the updates cannot be provided at the speed with which the events in Libya are unfolding. “There will be those who argue that anything less than getting rid of Gaddafi is not humanitarian, and only if you get rid of him it is humanitarian. There are a lot of people who do not necessarily buy into that argument,” said Zakheim. “The real issue is not getting around the United Nations. The real issue is how far the United States will get into this, given that it is already fully committed in Iraq and Afghanistan. We have not completed anything like the pullout of Iraq – that doesn’t happen till the end of this year. In Afghanistan we are not talking about leaving in a serious way for some time. We are stretched pretty thin, and to me this is a more fundamental question whether the allies are prepared to pick up the slack even with respect to any kind of reconstruction." Gaddafi will not go easily, says Zakheim. The colonel’s regime has survived for 40 years and now Gaddafi knows every trick of the dictatorial trade. Many people owe him a lot. He might even hold hostage the families of people who work for him, Zakheim warned. 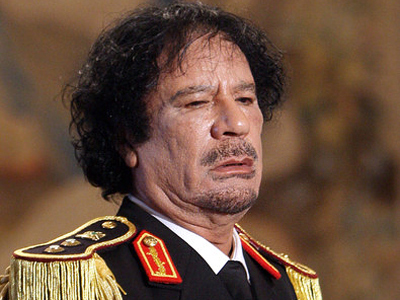 ­Former CIA case officer Art Keller remarked that even if Gaddafi did not spend all the country’s money well, he did use some part of Libya’s oil revenue on social programs. A stable despot could be better than an actual civil war. “As Secretary of State Colin Powell said before Iraq – ‘if you break it, you buy it,’” he said. “It’s your responsibility if you topple a regime to help put in something that is going to work. To the degree that you can help the legitimate aspirations of people who want democracy that’s fine, but you have to make sure that your helping them in their fight is not trying to deliver them something that they don’t really want." "You have to have intelligence officers on the ground. They have to be meeting with those people and making assessments and checking on their background to see if there is any kind of affiliation that’s worrying there. It is part of due diligence of doing the job. If the people are so disorganized [as Libyan rebels] that they can’t legitimately do the task, then arming them – you would just prolong a conflict, and that’s not going to help anyone,” concluded Keller. ­Michael Hughes, a journalist for the online media group Examiner.com, said CIA and MI6 officers have been sent to Libya to assess the rebels’ mood and intentions. The US Congress is concerned about the rebels, who are believed to be a mixture of jihadists, tribal members and secondary factions. And they are also worried that the movement, which started out as non-violent, is getting radicalized. That is why, Hughes suggests, congressional leaders are reluctant to support Obama’s intervention in the Middle East country.